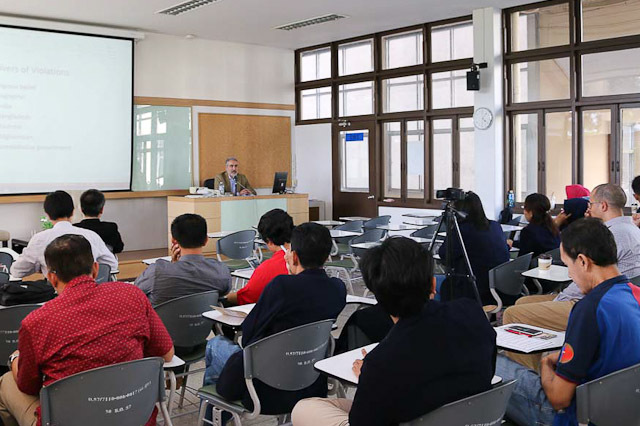 Besides regular German Law lectures and seminars at Thammasat University, given both on bachelor and master degree level in English, special German language classes tailored for lawyers are offered at beginner, intermediate and advanced level. We offer also single ad-hoc classes on selected topics related to law, politics and history of Germany and Europe. 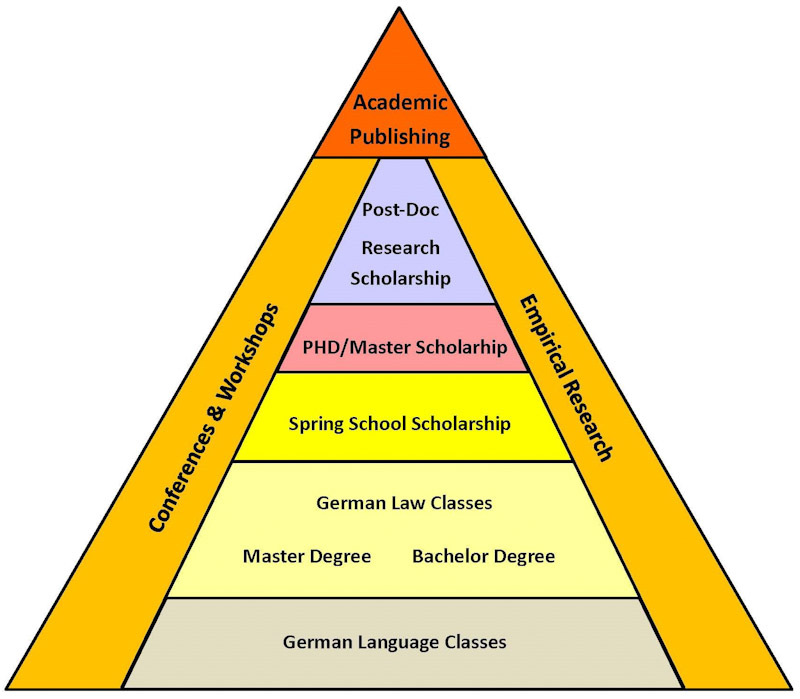 Annual Summer Academies on German and European law conducted in English are organized in Germany. The annual Human Rights Academy is arranged at the Faculty of Law of Thammasat University in Bangkok. Further academies have taken place in Poland and Indonesia. Additionally, graduate and postgraduate students are encouraged to join master degree and doctoral degree programs of the German partner universities of the Center, while post-doc scholars receive organizational and financial support for research stays. For students and scholars wishing to partake in all these courses and programs, CPG offers a variety of respective scholarships. All offers can be utilized individually. However, together they form an integrated concept for legal education within our comprehensive Integrated Academic Training and Promotion Approach (IATPA). IATPA seeks to optimize the study potentials of students and young researchers by providing attuned opportunities and channels to develop basic skills as well as particular scientific interests and knowledge combined with qualifying studies abroad.